Cloud Constellation, a startup in Los Angeles, is looking upward to give companies and governments direct access to their data from anywhere in the world. Its data centers on satellites would let users bypass the Internet and the thousands of miles of fiber their bits now have to traverse in order to circle the globe. And instead of just transporting data, the company’s satellites would store it, too. The pitch goes like this: Data centers and cables on Earth are susceptible to hacking and to national regulations covering things like government access to information. They can also slow data down as it goes through switches and from one carrier to another, and all those carriers need to get paid. Cloud Constellation’s system, called SpaceBelt, would be a one-stop shop for data storage and transport, says CEO Scott Sobhani. Need to set up a new international office? No need to call a local carrier or data-center operator. Cloud Constellation plans to sell capacity on SpaceBelt to cloud providers that could offer such services. Security is another selling point. Data centers on satellites would be safe from disasters like earthquakes, tornadoes, and tsunami. Internet-based hacks wouldn’t directly threaten the SpaceBelt network. The system will use hardware-assisted encryption, and just to communicate with the satellites an intruder would need an advanced Earth station that couldn’t just be bought off the shelf, Sobhani said. Cloud Constellation’s secret sauce is technology that it developed to cut the cost of all this from US$4 billion to about $460 million, Sobhani said. The network would begin with eight or nine satellites and grow from there. Together, the linked satellites would form a computing cloud that could do things like transcode video as well as storing bits. Each new generation of spacecraft would have more modern data-center gear inside. The company plans to store petabytes of data across this network of satellites. All the hardware would have to be certified for use in space, where it’s more prone to bombardment by cosmic particles that can cause errors. Most computer gear in space today is more expensive and less advanced than what’s on the ground, satellite analyst Tim Farrar of TMF Associates said. 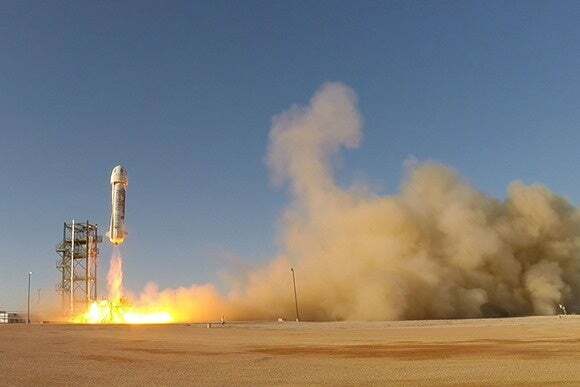 But the idea of petabytes in space is not as far-fetched as it may sound, said Taneja Group storage analyst Mike Matchett. A petabyte can already fit on a few shelves in a data-center rack, and each generation of storage gear packs more data into the same amount of space. This is likely to get better even before the first satellites are built. Still, Matchett thinks the first users to jump on SpaceBelt might be financial companies looking for shorter delays getting messages around the world. Cloud Constellation says its satellites could transmit information from low Earth orbit to the ground in a quarter of a second and from one point on Earth to another in less than a second. Any advantage that financiers could gain over competitors using fiber networks, which usually have a few seconds of end-to-end latency, would help them make informed trades more quickly. But if you do put your data in space, don’t expect it to float free from the laws of Earth. Under the United Nations Outer Space Treaty of 1967, the country where a satellite is registered still has jurisdiction over it after it’s in space, said Michael Listner, an attorney and founder of Space Law & Policy Solutions. If Cloud Constellations’ satellites are registered in the U.S., for example, the company will have to comply with subpoenas from the U.S. and other countries, he said.